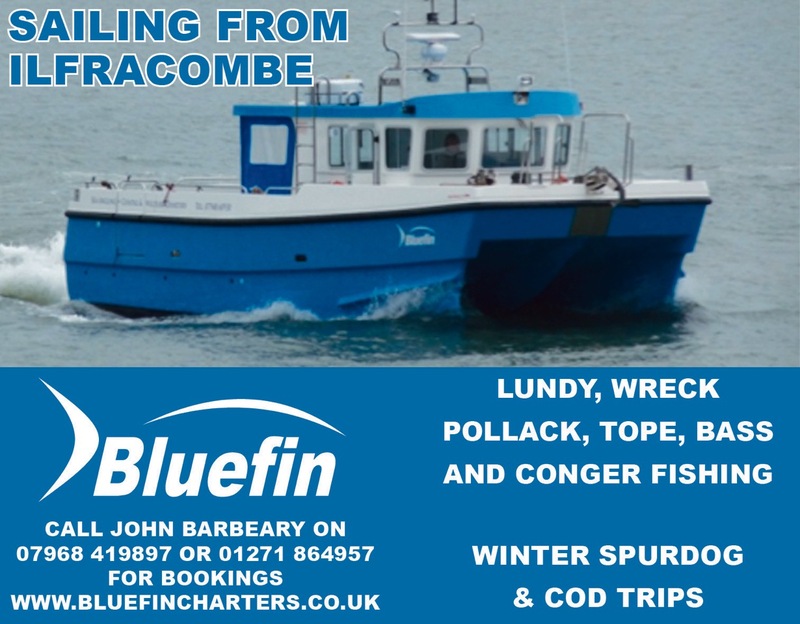 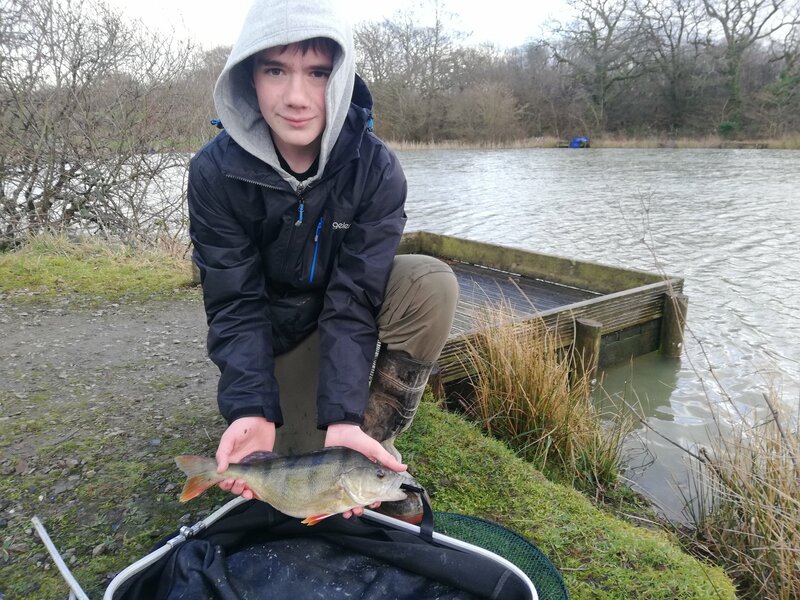 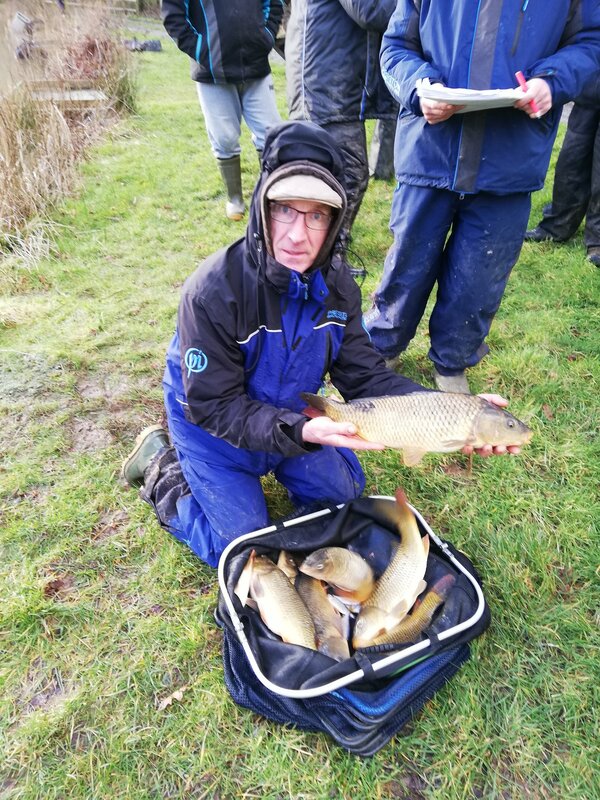 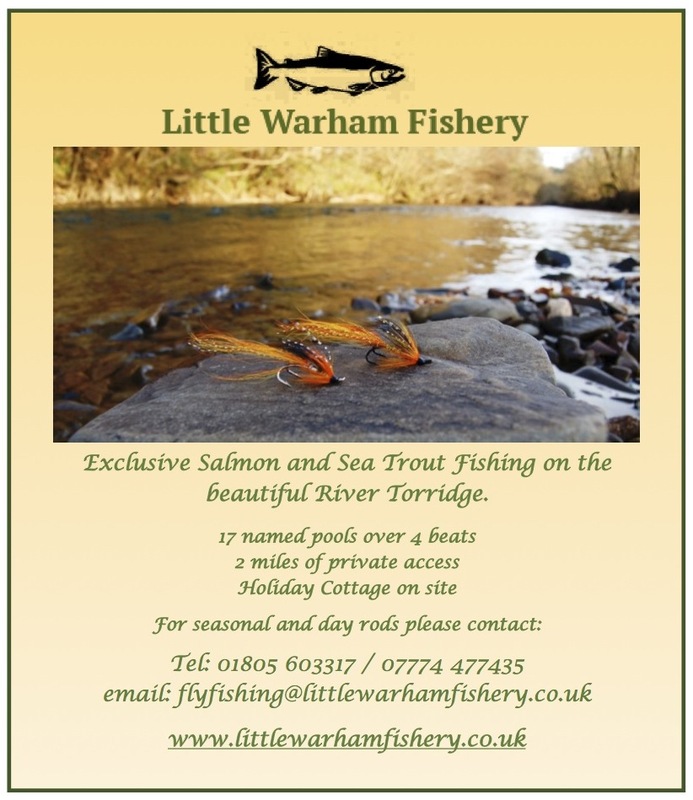 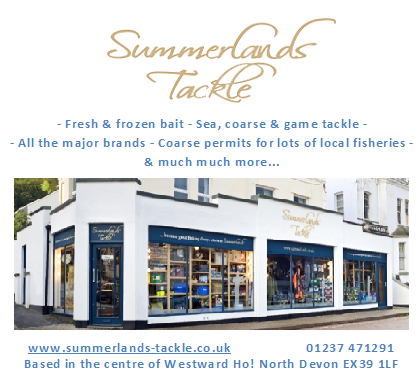 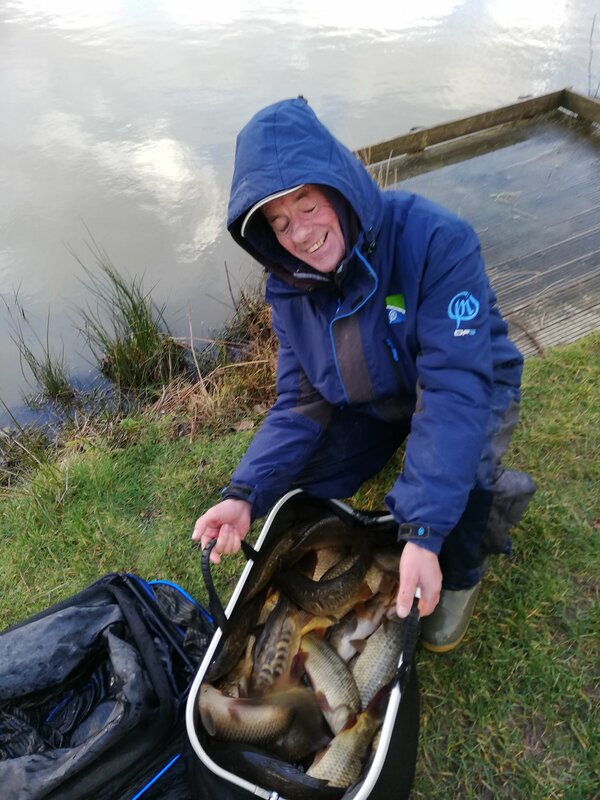 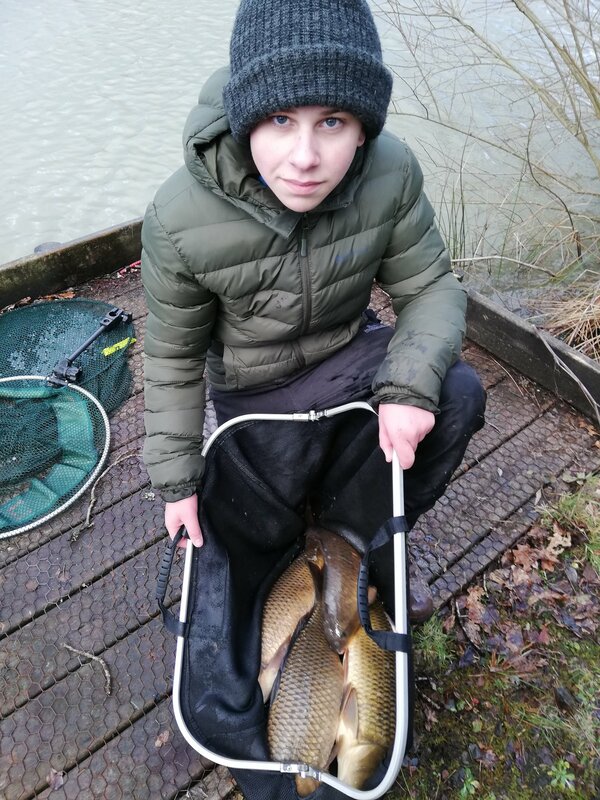 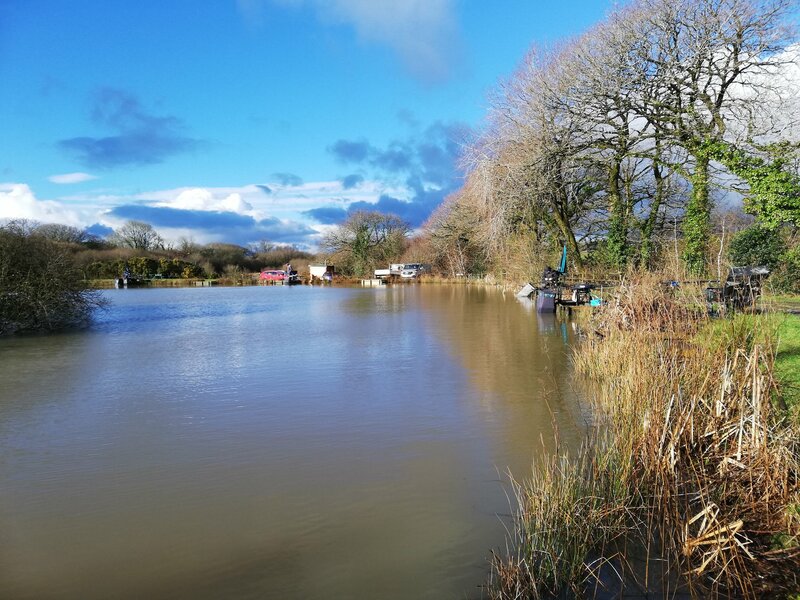 The match was held on the prolific Wooda complex , the 2 match lakes hosted the 22 competitors , the cold windy weather made fishing, for some ,quite tricky. 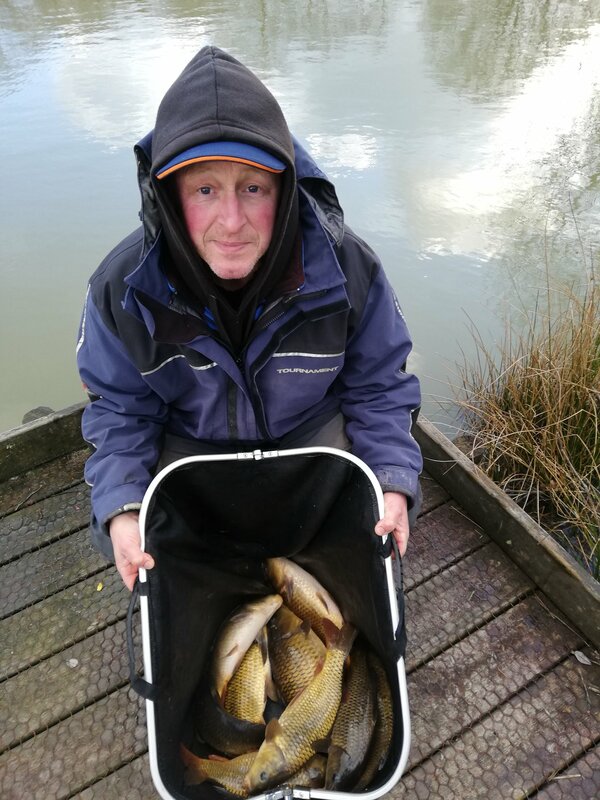 The shallow end of the top lake produced the winner, John landed some of the larger carp fishing with paste at very close range beside the reed beds. 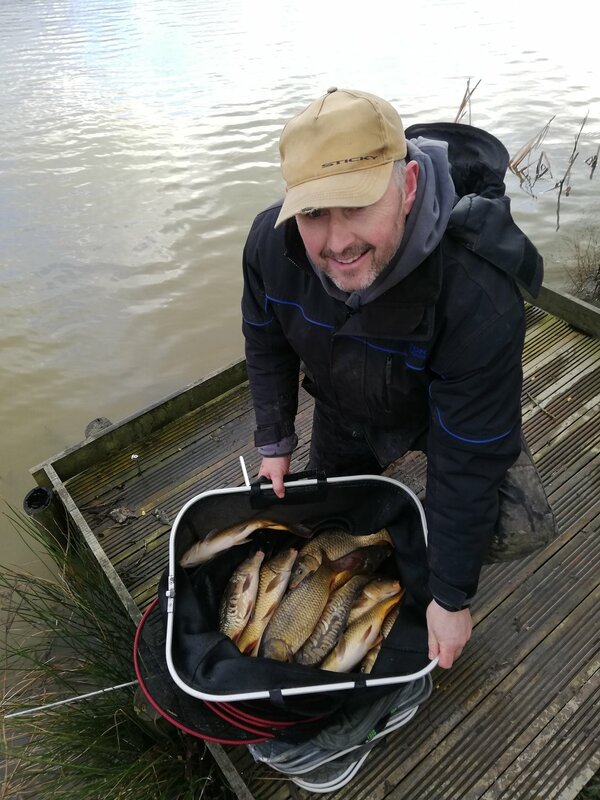 Kevin had a hectic start catching over 30 carp from the dam end on lake 2 for 2nd. 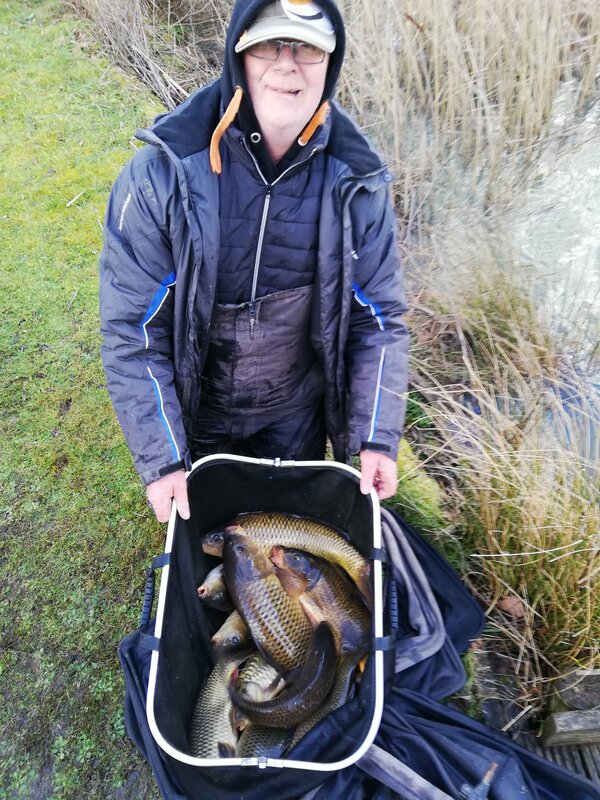 3rd place was Craig with another pole catch on the top lake. 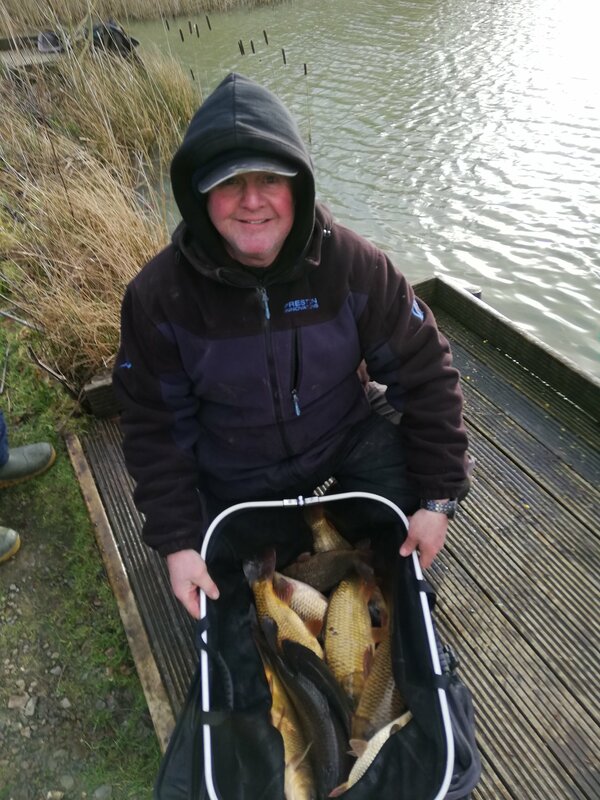 Stephen Craker came in 4th with a pole and feeder catch from lake 2. 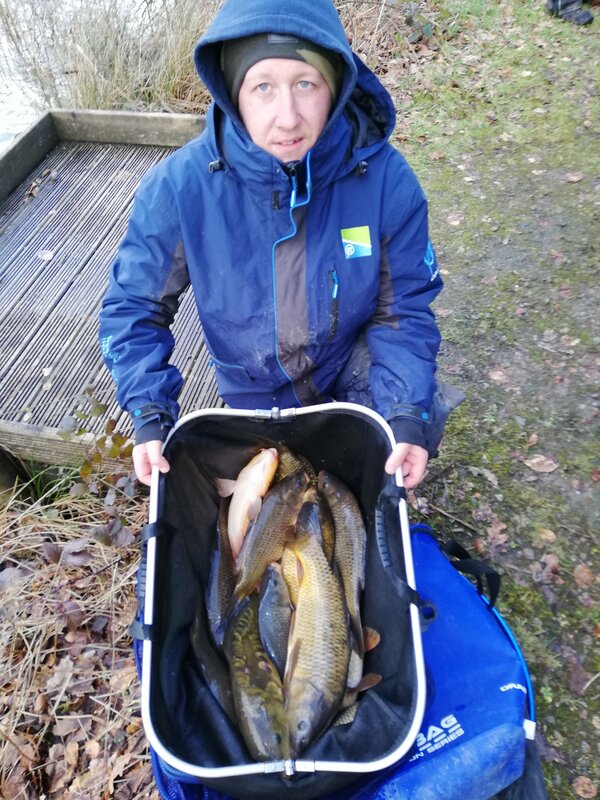 John Lisle and Stephen Craker move into joint first in the championship on 19 points.